Hotel Guest Died After Contracting Legionnaires' Disease in Ludlow Hotel - Update! Back in 2018 ITV reported on the closure of the Grade II listed Ramada Hall Hotel after Legionella bacteria was found in water samples. 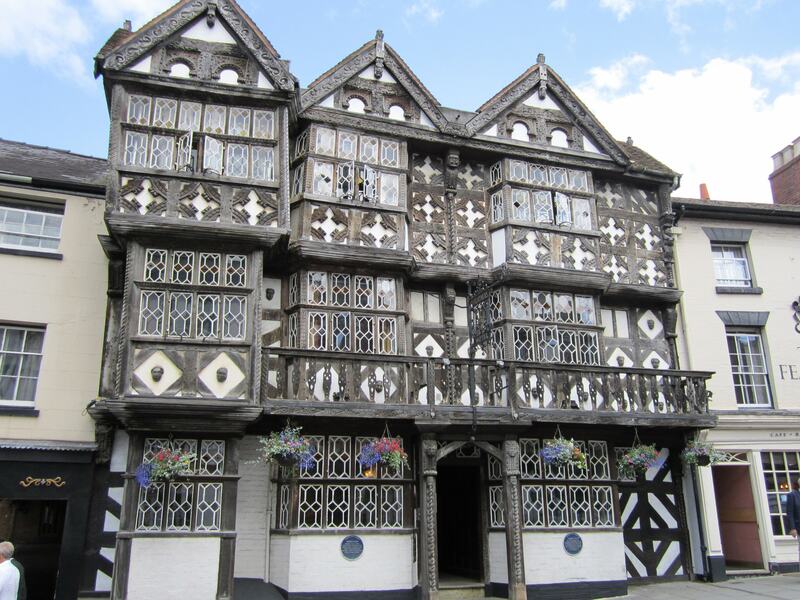 Another article was published in 2017 by the BBC about a fatal Legionella outbreak at the Feathers Hotel* in Ludlow where a 60-year-old hotel guest had died after contracting Legionnaires' disease. Legionella was found again at the same hotel in 2018. *In August 2018 the Feathers hotel entered administration due to difficult trading conditions as a result of this outbreak and subsequent investigation by Public Health England (PHE). Since then new owners, Crest Hotels, is investing £500,00 to re-position the property. Stories like these sadly demonstrate the potentially catastrophic consequences of a failure to properly manage the risk from Legionella bacteria. Legionnaires’ Disease is a rare but serious illness caused by bacteria that can be present in domestic water systems. Health & safety legislation requires that businesses and others in control of buildings take action to ensure that the risks to the public, their employees and others are identified and, where possible, prevented. If prevention is not possible, the level of risk should be controlled to an acceptable limit. Since you’re reading this article you probably already know the dangers of Legionnaires’ disease; but if you don’t you might like to read our article “Checking in.... time to check out Legionnaires' disease” which talks about Legionella bacteria and what is required to manage the risk in hotels. Risk factors include a combination of management, water systems engineering, operation and maintenance and population vulnerability. The last of these factors is often overlooked. Vulnerability is raised with increasing age, with the over 50’s being particularly at risk. In the case reported by the BBC, both victims were over 60. It’s also well known that underlying health issues are a major risk factor including smoking, respiratory conditions, certain cancers, heart, liver and kidney problems. The statistics supporting these and other risk factors can be found here on the Public Health England website. This is particularly alarming, as the proportion of older people in the population is rising. A report by Eurostat, the statistical office of the European Union, states that over 55’s account for almost 40% of tourist nights away in the EU. With almost half of all cases of Legionnaires’ disease in the UK acquired by people travelling abroad or within the country, the tourism, hospitality and leisure industries need to react to this trend. The European Centre for Disease Prevention and Control (ECDC) has published guidance for hotel managers that includes a list of precautions to take. In the UK, legislation requires that the prevention and control scheme should be supported by a suitable and sufficient risk assessment. A properly completed risk assessment and well-designed control programme will reduce the likelihood of costly reactive maintenance and unscheduled closures. This is because completing a risk assessment to inform and determine the control measures ensures that the control programme can be tailored to the circumstances. In so doing, the programme will be more effective and more efficient in achieving its goal. If you’d like to know more about controlling the risk of Legionella in your hotel check out our previous articles or get in touch with one of the team. If you enjoyed this blog and would like to hear more from Water Hygiene Centre add a comment below or follow us on LinkedIn, Twitter or Facebook. Editors Note: This post was originally published in September 2017 and has been revamped and updated for accuracy and comprehensiveness.